Are you hardwood floors scratched, scuffed, and in pretty bad shape? Did you recently pull up your old tired, worn carpet to find forgotten hardwood flooring that needs revitalizing? Well, you are in luck because hardwood floor refinishing is our specialty at Sandy Springs Hardwood Flooring. We offer affordable refinishing services so that you can restore your hardwood floors iginal glory and upgrade your home’s appearance. ​ Over time, even the most durable hardwood floors become scratched, worn, and sometimes damaged depending on the amount of foot traffic and wear and tear your floors see. Our flooring contractors have years of experience in the refinishing business and will quickly revive your floor’s brilliance and natural beauty while increasing your home’s property value as well. After just a couple of days, you will think we installed brand new flooring. The transformation is amazing! If you’re wanting to update the appearance of your home without breaking the bank, refinishing hardwood floors is a great way to bring the beauty and shine back to life in your floors. As the leading hardwood flooring company in Sandy Springs, we have the expertise to return your floors to a like-new condition and will save you a lot of time and effort. We clean up as we go and will leave your home looking a lot better than we found it. Call us for at an estimate of the cost to refinish hardwood floors and to discuss our methods and techniques. Screening and Re-coating: The polyurethane layer on your hardwoods can become very dull by being exposed to heavy foot traffic and abuse. Sanding and Finishing: After several years of wear and tear, hardwood floors often develop deep scratches and nicks that are very noticeable and detract from the beauty of your home. 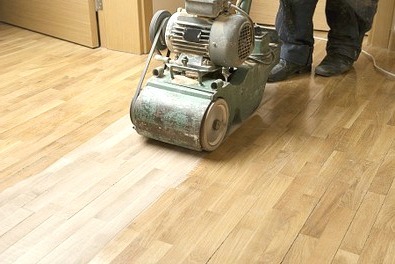 Our sanding and finishing method is a complete floor restoration service in which we use heavy duty equipment to sand the floor down to raw wood to remove all of the scratches and damaged areas. After the floors are sanded down, we will then stain the floor and add a protective polyurethane coating, making them look brand new again. 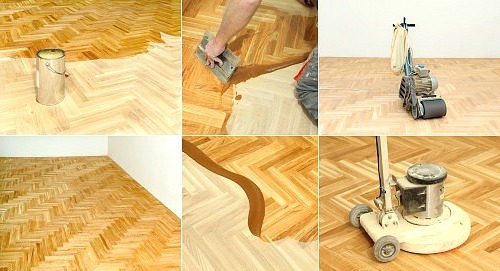 Due to the amount of work and drying times in between, this process can take up to a week to complete. ​ This is also a great option if you decide you just want a completely different look in your home because you can choose whatever stain color you like. 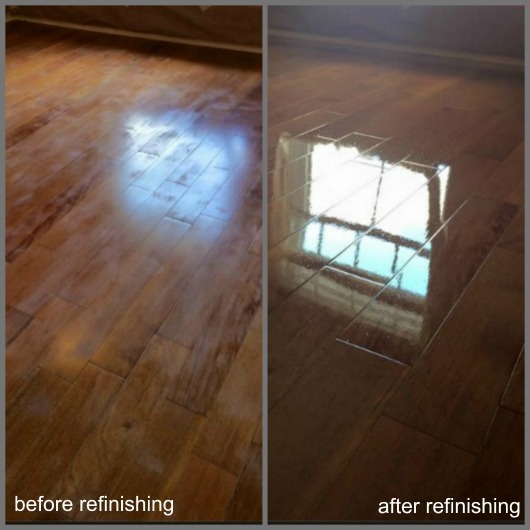 Whichever method you decide to choose to refinish your floors, Sandy Springs Hardwood Flooring will complete the job with skill and professionalism, and your floors will be beautiful and shiny once again. Give us a call at (404) 341-7071 to discuss the best hardwood floor refinishing method for your home.